Full size patterns for all 40 projects plus two bonus patterns. Detailed instructions illustrated with step-by-step photos. 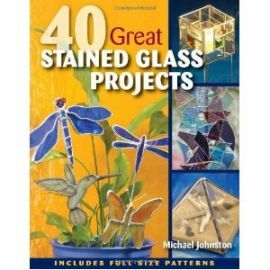 Includes pro tips from an experienced stained glass artist on soldering, working with lead and foil, building 3-D projects, and more. Over 1000 colour photographs.